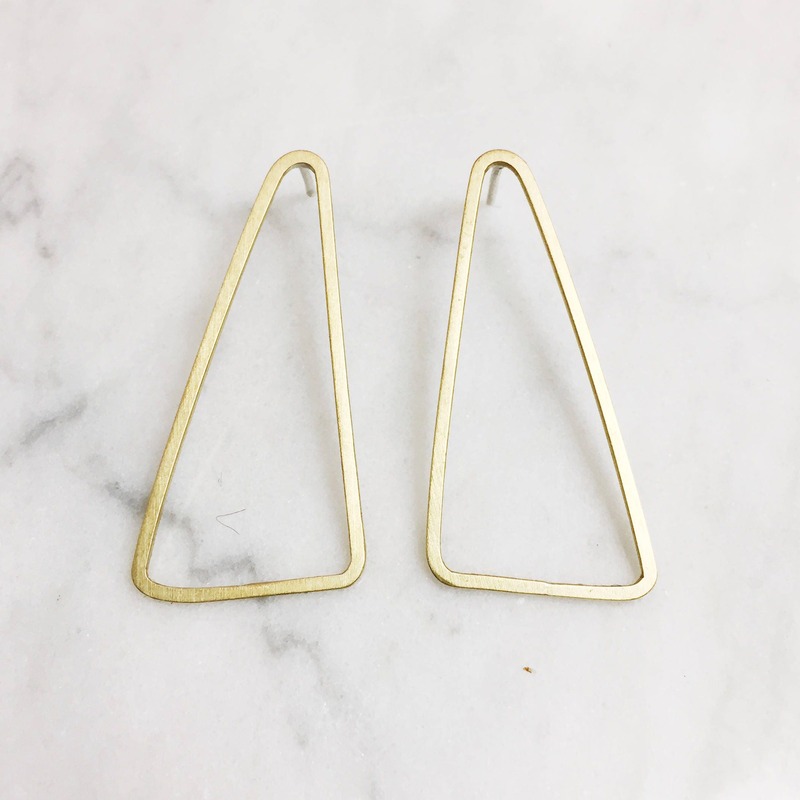 Long geometric triangle post earrings handcrafted from square wire. Around 2" long. Matte finish. Choose from Brass or Sterling silver. 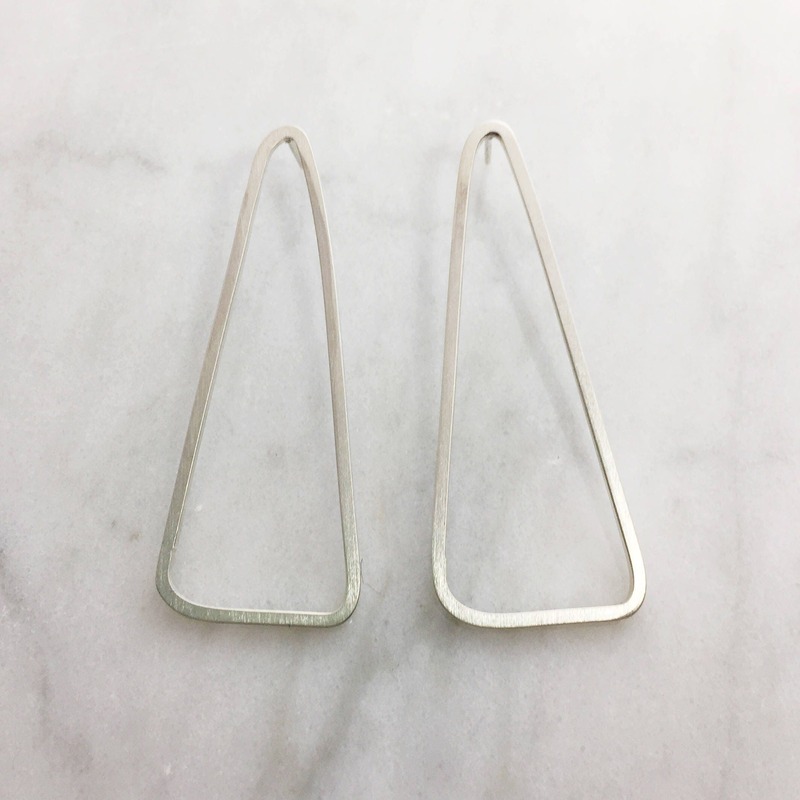 All earrings have sterling silver posts and backs. These earrings are one-of-a kind, handmade by me in my studio in Northeast Minneapolis.